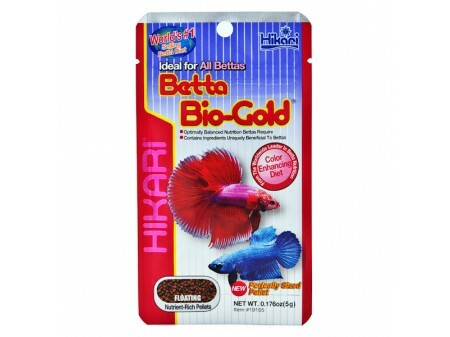 Betta Bio Gold is specifically developed for Bettas (Siamese Fighting Fish) The inclusion of premium grade fish meal provides a superior protein source. Also includes Astaxanthin to promote excellent colouring Grape Seed Extract (polyphenol) which has been shown to reduce the impacts of aging and Spirulina which offers a naturally high concentration of usable vitamins. Promotes health and longevity. Unique blend that helps support immune system health whilst reducing the chances of internal fat deposit build up.